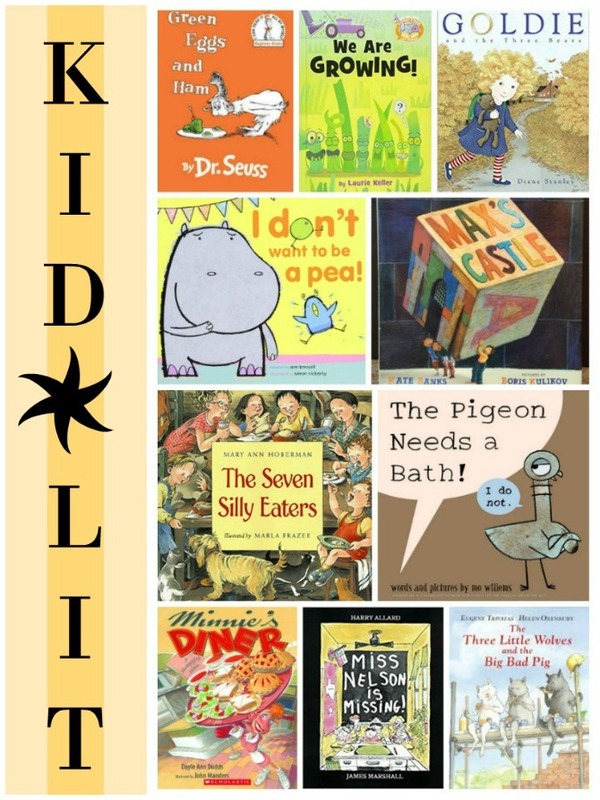 I shared our first round of Quick Kid Lit last month, and I had so much fun putting that post together that I think I might make it a regular blog feature. As I mentioned in that post, Charleston and I plow through the picture books at a rate of at least a dozen library books per week, in addition to books that we already own or new books we buy. (Though I rarely purchase physical books for myself, I have a soft spot when it comes to books for Charleston. We often buy books in place of toys for fun surprise gifts and rewards.) Since we are constantly discovering great new reads, it would be a shame not to share our discoveries with you! Charleston has had fun helping me compile these lists. Every time we read a new book that he loves, he requests that I add it to his Favorites List (a shelf I created on Goodreads); the books I’m sharing today are all lifted from that list. Each of these books was an immediate favorite and was read again and again (and again) during its stay with us from the library. Some are newer books and a few are from well before my time! Miss Nelson is Missing, by Harry Allard: Talk about a throwback! This quirky classic was published in 1977, and I distinctly remember loving it when my Elementary School librarian read it to our class nearly thirty years ago. I wasn’t sure if Charleston would be able to grasp the concept of a teacher who “goes missing” and is replaced by an evil witch—but he did, and found it hilarious. Each time we read the book he would point out the differences between Miss Nelson and her replacement Viola Swamp, and explain to me why she had changed. It was fun to spot the Texas flag and posters in the illustrations, something I’m not sure I picked up on as a California kid. Max’s Castle, by Kate Banks: When Max discovers some letter blocks under his bed, his brothers tease him for wanting to play with baby toys. But Max amazes them by using the letters and some forgotten toys to transform their room into a castle complete with dragons, moats, knights, and a deadly snake. As a word person myself, I appreciated the clever wordplay that occurs as Max rearranges his blocks to create new words (for instance, “in every knight there is a king” and “let’s add an L to this Adder to create a Ladder as an escape”). Charleston is a bit young for the spelling games but loved the vivid illustrations and imaginative adventures. I Don’t Want to Be a Pea, by Ann Bonwill: Hugo Hippo and Bella Bird are the best of friends, but they run into a dilemma when they are invited to the annual Hippo-Bird costume party. Hugo is insisting that they attend as the Princess and the Pea, but Bella does not WANT to be a pea to Hugo’s princess. The problem nearly tears the duo apart, until they remember that their friendship is much more important than a silly costume. This is a simple but sweet story that had both Charleston and me chuckling. Minnie’s Diner, by Dayle Ann Dodds: One morning on the farm, Papa McFay sets his boys to work, but the smells from nearby Minnie’s Diner are too enticing. One by one, each boy heads over to Minnie’s to order the special. Each boy is twice as big as the last and twice as hungry, so of course each brother orders up what the last brother is having, “but make it a double.” This is a clever introduction to multiplication, with some hilariously outlandish characters and that great sing-song rhythm and predictable pattern that Charleston really enjoys in books. The Seven Silly Eaters, by Mary Ann Hoberman: I’ll confess that while Charleston did like this book, it was more my favorite than his. Mrs. Peters is a doting but tired mother with seven children she adores; the only problem is that they are such silly eaters. Each child has a particular food preference, and keeping up with Peter’s preferred milk temperature, Lucy’s favorite homemade pink lemonade, Jack’s strained applesauce, and everything else is just about to do Mrs. Peters in. As a mom, I took this as a cautionary tale on the dangers of short-order cooking; Charleston liked the elaborate illustrations and funny names. And we both enjoyed the endearing ending. We Are Growing, by Laurie Keller: This is part of a series of books endorsed by Mo Willems and introduced by his beloved Elephant and Piggie characters. Charleston adores the Elephant and Piggie books, so their cameo appearances sold him on this book that in itself is a great read. The story is just about exciting as it gets—it’s about grass that is growing! As each blade grows, they all remark on what it is that makes them unique. Except for one poor blade who can’t figure out what makes him special. But then . . . a lawn mower chops them all down. Through this great equalizing event, our excluded little blade comes to find out his own unique purpose. I just loved the messages of identity and purpose and the inherent problems with comparison. These themes were a little over Charlestons’ head, but he really liked the colorful pictures, oddball humor, and exaggerated dialogue told with Mo Willems’ trademark speech bubble style. Green Eggs and Ham, by Dr. Seuss: This classic needs no introduction. To be honest, it’s never been a favorite of mine (I’m not the biggest Dr. Seuss fan), but we do have a copy on our home bookshelf and Charleston has really latched onto it in the last couple of months. I’ll admit that it’s lots of fun to read aloud, and we’ve now read it so often that Charleston can recite most of the story along with me. Dr. Suess’s books are great for introducing kids to the concept of rhyming, and we now use the story as an object lesson when helping Charleston learn to try new foods. 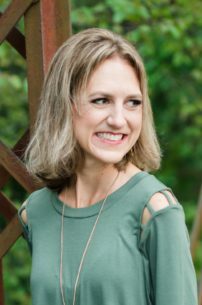 Goldie and the Three Bears, by Diane Stanley: I’ve been surprised by how much Charleston loves all of the classic fairy tales. His favorite is the The Three Little Pigs, but he also loves Little Red Riding Hood, The Gingerbread Man, The Three Billy Goats Gruff, and of course Goldilocks and the Three Bears. We have read every version and spinoff of these stories that our library carries (it turns out there are TONS of them). We both especially enjoyed this fresh twist on Goldiclocks. Goldie is a spirited young woman with very distinct preferences. Her refined tastes make it difficult for Goldie to make friends, but that changes when she stumbles into the home of three bears. It’s in this most unexpected place that she finds someone she can love with her whole heart. A few reviewers remarked that this book sends a negative message, with Goldie’s pickiness being rewarded; I see their point, but mostly found this to be a lively and charming spin on a comfortable tale. The Three Little Wolves and the Big Bad Pig, by Eugene Trivizas: Charleston just can’t get enough of the Three Little Pigs, and he found it SO SILLY that in this version, the wolves and pigs have switched places. Instead of building their houses out of straw, sticks, and bricks, these wolves have resorted to some rather unusual materials, ultimately creating a marvelous house of flowers. We really got a kick out of the wolves response to that huffing and puffing pig: “By the hair on our chinny-chin-chins we will not let you in, not for all the tea leaves in our china tea pot.” I mean, how can you not love a pack of wolves whose most prized possession is their antique tea pot?! The Pigeon Needs a Bath, by Mo Willems: Mo Willems is indeed a favorite author of Charleston’s (right up there with Sandra Boynton). This book was purchased as a reward for good behavior a couple of months ago, and we’ve read it nearly every day since. Pigeon is a curmudgeonly bird who hates bathing and refuses to get into the tub—but then he does, and now he never wants to get out. As with all of Willems’ books, this one is laugh-out-loud funny and wonderfully illustrated. I especially appreciate the message about doing things we need to do, even when we don’t feel like it. What books are your kids reading these days? Any recommendations for Charleston? 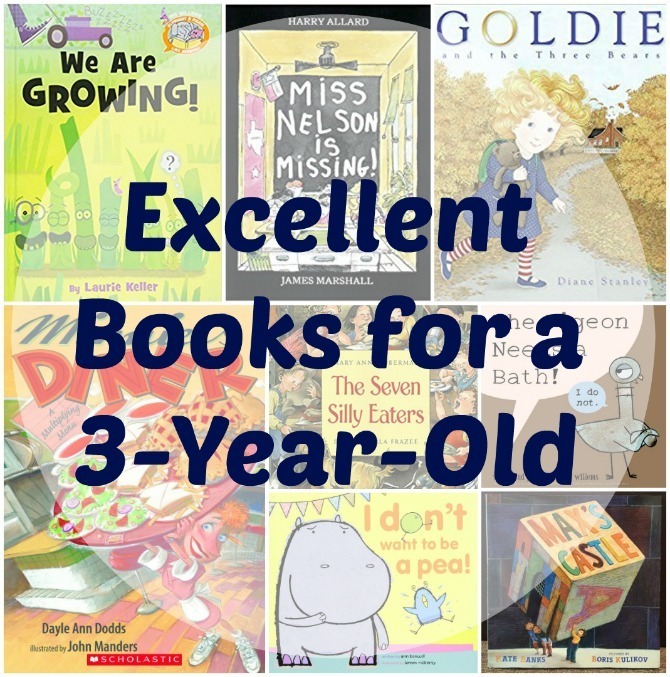 We’re always looking for our next favorite picture book!